As the number of people entering the landscape business continues to grow, serious landscape entrepreneurs and business owners are actively searching for any potential competitive advantage. And from word of mouth referrals to billboard ads and truck signage, there are a variety of different ways to help create your business’ brand, positioning it where potential customers can see it and driving sales and positive reviews in the process. Photo: iStock.com / maxkabakovSo how can you be sure that you’re keeping your brand safe from risk while simultaneously working to promote it? One of the best ways is by applying for and receiving federal trademark registration. 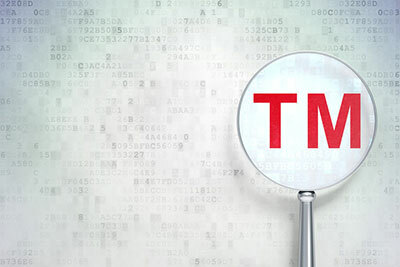 Here’s a closer look at what you need to know about the trademark process and its impact on your landscape business—and what you need to do if someone “steals” your landscape business’s name. What is a trademark and does your landscape business really need one? Granted by the U.S. Patent and Trademark Office (USPTO), a trademark is a name, word or symbol that represents a product or service offering. When your business files for and receives a federal trademark, your business obtains the presumption of national validity on its name. As you may imagine, large, national landscape firms like TruGreen own the trademarks for their names. But do small- and mid-sized landscape firms also need to trademark their names? Yes, trademark protection is a smart investment even for landscape businesses with a small crew or a single location. And here’s why: Imagine that your small landscape business, Leon in the Grass has been in business for seven years and you’ve grown a steady flow of repeat customers and even have positive reviews on social media sites and Yelp. Everything is going great until one of your regular customers calls to reschedule an upcoming appointment, and happens to ask if you’re related to the big outfit Leon’s Lawns that has opened just across the border in a neighboring state. Certainly, the other landscape contractor doesn’t have the exact same name—but their name is similar enough that current and potential customers could unintentionally do business with your competition when they intended to patronize your business. And imagine what would happen if the local news reported that an employee for Leon’s Lawns was being accused of a series of home break-ins while providing lawn care services, or a video went viral showing a Leon’s Lawns employee kicking a homeowner’s dog while performing yard work. It’s easy to see how your business could mistakenly get caught up in the drama. How would your landscape business handle the situation I just described? Or what would/should you do if you find another business has “stolen” your name? Your next steps depend solely on one thing: Do you own the federal trademark to the your business name—in the case of our example, Leon in the Grass? If your answer is yes, you do hold the federal trademark, that’s good news. You’ll be happy to know that it is not only your right, but actually your legal obligation to make sure that other businesses focused in and around the landscape industry do not infringe on your name—and by infringe, I mean by using the exact same name as yours, or any other name that would be “confusingly similar” to potential clients. In a situation like this, you and your attorney would contact Leon’s Lawns with a written demand that the company change its name. If Leon’s Lawns ignored your request or chose to fight it, you could consider filing a federal trademark infringement lawsuit and/or other action such as takedown requests to social media websites where Leon’s Lawns may be advertising its services. If, however, your answer is no, you do not hold the federal trademark to your business name, suffice it to say that the road ahead of you would be more challenging. You and your attorney could submit a written request to Leon’s Lawns for a name change, but without the deterrent power of a federal trademark behind you they may be willing to take their chances. If they chose not to change their name and you decided to take them to court under the auspices of common law trademark, know that it is time-consuming and expensive to prove, and the distance between you and the competing business may make your case even more tenuous. If there is one lesson learned here, it is this: filing for and receiving a federal trademark registration provides an effective deterrent in the marketplace, and will likely result in less protracted enforcement activities if someone attempts to steal and use your name. If you were to file for trademark protection only on your logo, you would receive protection on your business name only as it appears within the graphic context of your logo—meaning if you were applied for trademark protection for Leon in the Grass written in a triangle in 14-point green Papyrus font, you would have to use that logo ad infinitum to maintain your federal trademark registration. If you created a new logo four years down the road your federal registration would not apply to that use and your business name would likely lose the benefits of federal registration. For landscape contractors interested in growing your business, trademarks offer brand protection that keeps you from jeopardizing all of your hard work. Even small- and mid-sized landscape companies can benefit from federal trademark registration as a way to prevent confusion and protect your reputation. For pros facing budget constraints, register for protection of your business name first, then elements like your logo. Follow these guidelines, and you’ll be setting up your landscape business for continued success. Founder of Gerben Law Firm, PLLC, a USA based trademark law firm, Josh Gerben is a trademark lawyer whose trademark registration process has facilitated the filing of more than 5,000 trademarks for clients since 2008. Gerben Law Firm has been featured in a wide variety of national news outlets; The Wall Street Journal, The Washington Post, MarketWatch and more. 2 Comments on "Protecting your brand with a trademark: What landscape contractors must know"
This article is a bit self serving in that it is written by a law firm specializing in trademarking. It is mostly accurate and contains good advice but it isn’t as easy and cut and dried as it sounds as portrayed in the article to protect your trademark as a small business operator especially if you are infringed upon by a company much larger with much deeper pockets. What it doesn’t talk about are the costs to bring a lawsuit in the event that a cease and desist letter gets no results and the probability of prevailing in court to legally defend the trademark. Costs so prohibitive especially if the infringer is from out of state that they would not be affordable to the small Green business owner. Not even counting the loss of time and wages plus the emotional stress created in the process. Trademarking is like a car alarm. It is a deterrent to theft for some but not all. At least in the event of car theft you can buy insurance and be somewhat made whole again. In the case of trademark and intellectual property theft there is no insurance at all. It’s just you your lawyer and some large checks for you to write with no guarantee. And you know what they say who always comes out winning in court cases and thats the lawyers. That is always guaranteed. Great advice! I filed a trademark a few years ago through an attorney. It was $700 which was a lot of money at the time, but well worth the investment. My business is small but my brand is protected. Great article!